Hanover North Broad apartments in the heart of downtown Philly and near Center City Philadelphia are a perfect fit for the cultured urban professional. Conveniently located within walking distance to Philadelphia’s art museum area, steps from “restaurant row” and minutes from Fairmount Park, Hanover North Broad has everything needed for the luxury urban lifestyle. 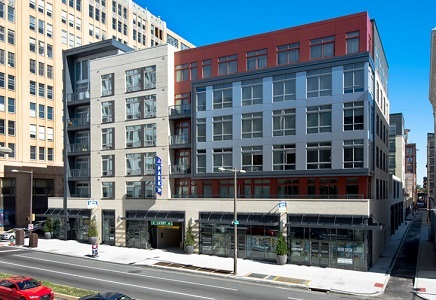 The Hanover North Broad luxury apartments feature modern amenities for a convenient, upscale lifestyle such as open-concept kitchens with stainless steel appliances, granite slab and quartz countertops, custom cabinetry and large islands. Let the James ‘Right’ Price Team’s real estate acumen find your new Philadelphia luxury condominium home in Hanover North Broad today!